UPDATED: Fri., June 8, 2018, 5:51 p.m.
TALLAHASSEE, Fla. – For more than a year, Florida failed to do national background checks that could have disqualified people from gaining a permit to carry a concealed weapon. The lapse, revealed in an internal report that was not widely known about until Friday, occurred during a time period when there was a significant surge in the number of people seeking permission to legally carry a concealed weapon. Florida does not allow the open carry of weapons, but more than 1.9 million have permits to carry guns and weapons in public if they are concealed. The state ultimately revoked 291 permits and fired an employee blamed for the lapse after an inspector general’s report detailing the problem was sent in June 2017 to top officials in the department who oversee the program. The Tampa Bay Times was the first to publish information about the report, which pointed out that the state failed to check the National Instant Criminal Background Check System from February 2016 to March 2017. 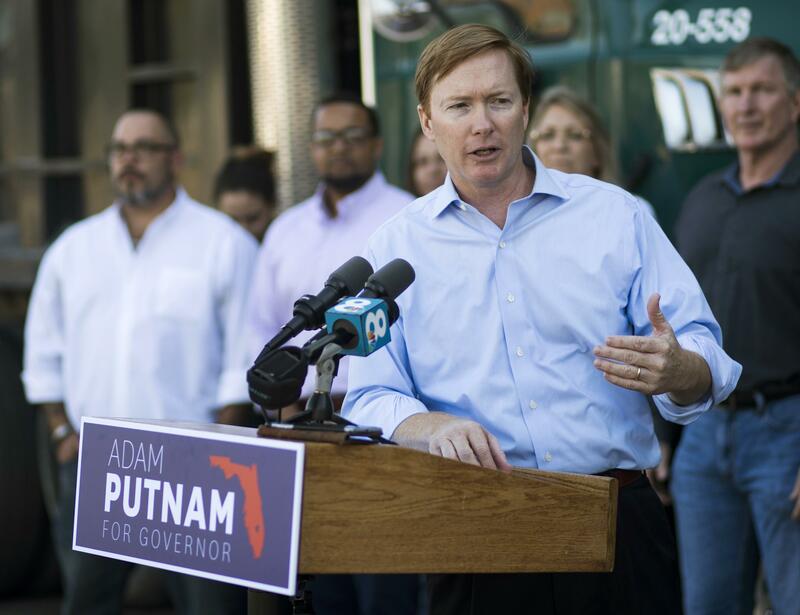 Agriculture Commissioner Adam Putnam, a Republican running for governor who has touted his efforts to make it easier for people to obtain concealed-weapons permits, said the state did conduct its own criminal background checks on those applying for permits during that time period. Putnam blamed the problem on the negligence of a department employee. “The former employee was both deceitful and negligent, and we immediately launched an investigation and implemented safeguards to ensure this never happens again,” Putnam said in a statement. McKinley Lewis, a spokesman for Republican Gov. Rick Scott, said the governor’s office was never provided a copy of the inspector general’s report. Democrats and gun control advocates quickly criticized Putnam over the incident and said he should resign. Putnam has raised the ire of gun control advocates for his proclamation last year that he was a “proud NRA sellout” who supports the National Rifle Association. He also said that he would not have signed the new gun and school safety law enacted by the Florida Legislature in the aftermath of the shooting at Marjory Stoneman Douglas High School in Parkland. “Career politicians like Mr. Putnam think this is just another bad day at the office – but when you conceal a level of negligence that endangers every resident, and every child, in Florida, you forfeit any moral right to lead,” said former Miami Beach Mayor Philip Levine, one of the Democratic candidates running for governor. The state used the national system to see if there were reasons such as mental illness or drug addictions that should prevent someone from being issued a concealed-weapons permit. But in March 2017 an investigation was triggered after a state employee noted that the state was not getting any correspondence from people whose applications had been rejected due to information gleaned from the national database. The Times interviewed the employee, Lisa Wilde, who told them she was working in the mailroom when she was given oversight of the database in 2013. “I didn’t understand why I was put in charge of it,” Wilde told the newspaper. Statistics compiled by the department show that from the summer of 2015 to the summer of 2017, the number of new applications for concealed-weapon permits jumped dramatically, to its highest level in 25 years. Published: June 8, 2018, 5:50 p.m. Updated: June 8, 2018, 5:51 p.m.